One shot, one kill, this is the saying the IDF snipers live by. They are the silent and lethally accurate assassins of the IDF, the dreadful nightmare of its enemies. Dispersed throughout the Golani, Givati and Paratroopers units so that everybody may enjoy the tactical edge, when the man with the M24 is stationed, enemies better get out of sight! 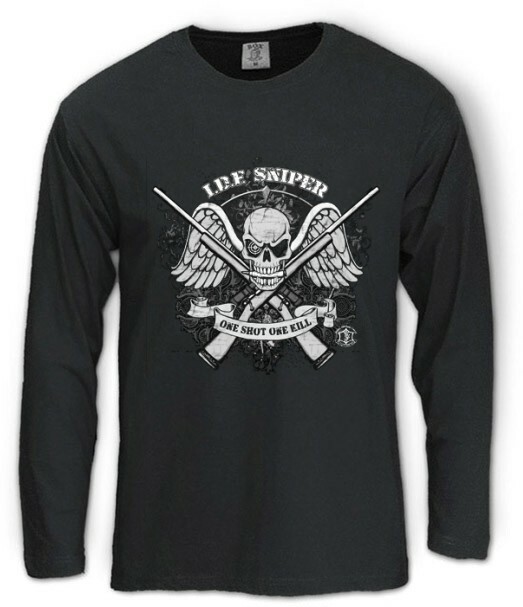 Get your Sniper Long Sleeve T-Shirt today! Our t-shirts are made of 100% cotton and are long lasting with bright colors. Our products are all designed and printed in Israel.